A group of Internet hackers appeared in an Ankara court on Monday on charges of terrorism, the first time alleged cyber criminals have been put on trial in Turkey. Those arrested in suspicion of the attacks are mostly students who deny having the technical skills required to carry out such a hack. RedHack has denied the allegations, saying 10 people currently being tried have no ties with the group and that the allegations of terrorism are simply part of the government’s policy against all of its opponents in the country. The defendants, who deny the charges, risk prison sentences ranging from eight to 24 years if convicted. Redhack claims to be affiliated with the international hackers' group Anonymous group, and has carried out several online attacks against state and private domains since 1997. Shortly after the arrests, RedHack declared that the individuals taken into custody had no association with the group. After releasing the statement, the collective brought down several other police websites in an attempt to prove that the group was still operating in light of what RedHack believed to be the arrest of innocent individuals. The only suspect in the case of women prisoners, college students Kerimoğlu emotion , the fact that no evidence was close to 9 months in prison,'s computer as evidence to show photographs of the Yilmaz Güney and Marine Gezmis criticized. University student Alaattin Karagenç, the third arrested suspect, said he chatted with a RedHack member nicknamed “Manyak” about technological issues in an online chat room but had not received any instructions about hacking. 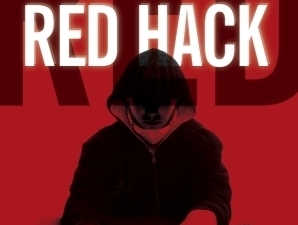 RedHack has attacked government websites and leaked information from them, and was previously listed as a terrorist group by the Turkish government. On July 3, RedHack revealed the identities of some foreign diplomatic personnel working in Turkey.